So I’m on day 21 of a 42 day Vegan Cleanse. 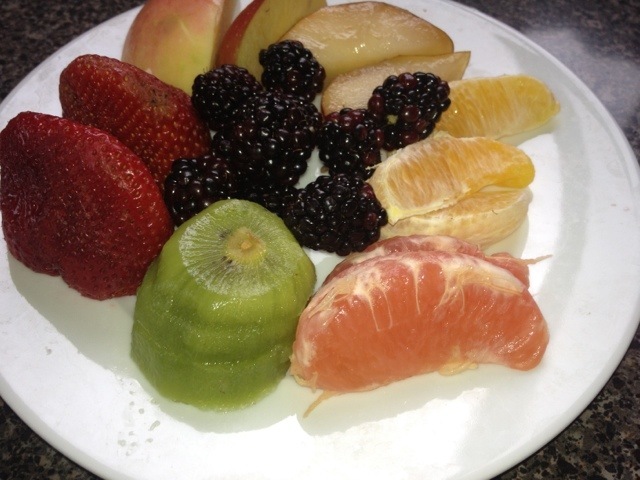 The purpose of the cleanse is to feel better, lose weight, and get in great shape for our Kilimanjaro hike in June. I have a lot of friends who are Vegan, one who is battling prostate cancer, and so I’ve had a lot of support from my peer group. John’s being very sweet and is cooking his own food separately. He even took me for “dates” at great nearby restaurants: Pita Jungle (many Vegan offerings) and Pomegranate Cafe & Green (everything is Vegan!). Beyond that, I’ve been reading a lot of books on plant diets. In January & February I taught a Food Writing class and assigned Kingsolver’s Animal, Vegetable, Miracle and Michael Pollan’s The Omnivore’s Dilemma. My friend Kaylee loaned me Dr. Joel Fuhrman’s Eat to Live. I’ve also watched several food documentaries including King of Corn; Food Matters; Ingredients; Forks Over Knives; Deconstructing Supper; and Fat, Sick & Nearly Dead. So I guess you can say I drank the organic, animal-free, plant-based Kool-Aid. I also, just for fun, decided to give up all caffeine, alcohol, salt and sugar. For 6 weeks. I bet you’re thinking, Trish must be pretty damn grumpy. But the truth is, I feel great. I eat 4 meals a day about 4 hours apart: at 7 am, 11 am, 3 pm and 7 pm. Out of 84 meals so far I have only had 4 cheats. I ate sugar at a Vegan party: an oatmeal raspberry bar that I have to admit was heavenly. I drank 2 glasses of wine and ate shrimp & cheese at the Arizona Governor’s Arts Awards ceremony. I drank 2 cups of coffee one morning after a terrible night’s sleep. And I drank some wine with John on a date night after a long hike. The other 80 meals have been clean and plant-based and simply delicious. I’m enjoying it so much, I might just stay Vegan after the cleanse is over. 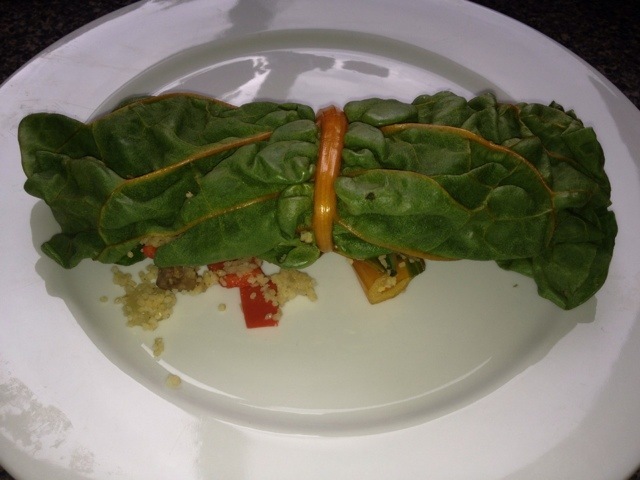 Here’s how beautiful and easy a plant-based diet can be. This day’s meals equaled about 1300 calories and I had a hard time eating it all. 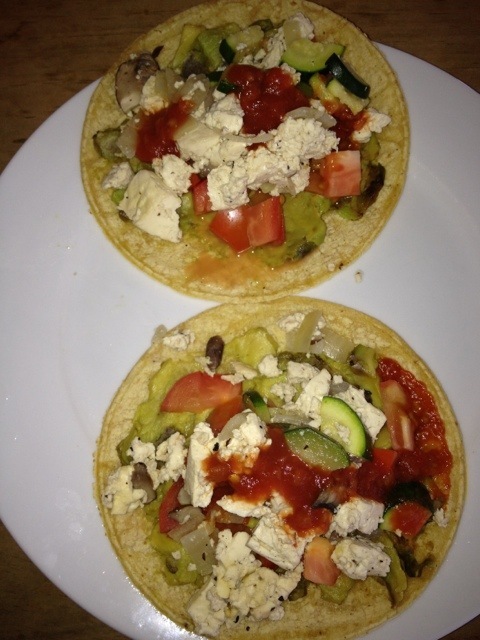 Tofu Scramble with Mushrooms, Onions, Zucchini, Tomato, Avocado and Salsa on Corn Tortilla. 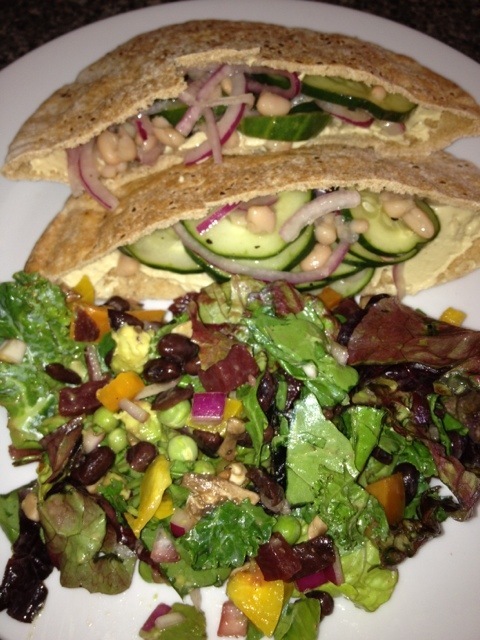 Hummus Pita with Cucumber, White Beans and Red Onion. Spinach, Kale & Arugula Salad with Beets, Peas, Black Beans, Peppers, and Avocado.